Emerging strongly in the Nigerian music scene is an incredible Lyricist ”Carterson” who is gradually gaining recognition, following the success of “No Tellin” featuring Pherowshuz off his forthcoming debut mixtape. 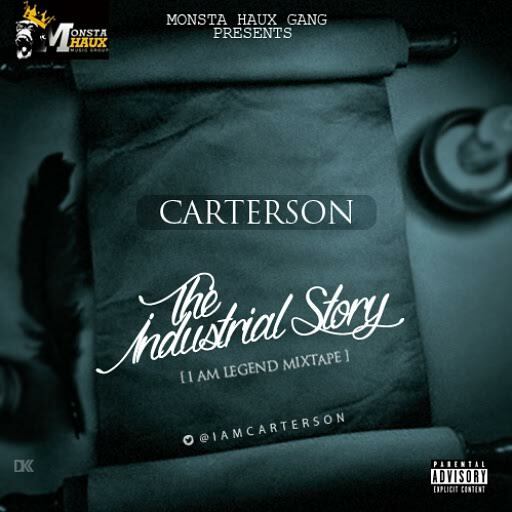 Carterson Serves to us another cut ”The Industrial Story’ which talks about the Trials & Challenges upcoming artistes faces in the industry, and also addressed some issues in the industry, this piece finds the Lyricist in a storytelling mode. Sit back, relax and listen as we wait for a follow up single the coming weeks. Smooth!! !